Tavira is a fantastic holiday destination, which offers a wealth of varied sights, exciting activities and enjoyable day trips. 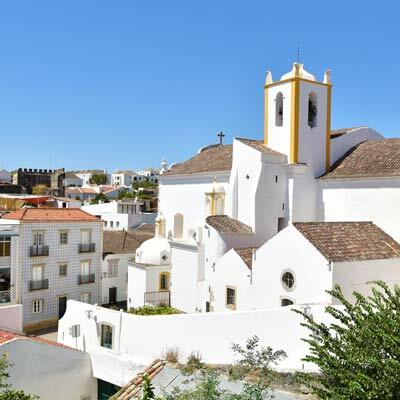 Tavira is one the most characterful towns of the Algarve, and has a charming historic centre, while the surrounding coastline is lined with idyllic and pristine beaches. There are many interesting day trips in the eastern Algarve, and a one-week holiday is the ideal length of time to discover this fascinating region. This article will provide a suggested 1-week itinerary for a holiday to Tavira. The following is our suggestion for a one-week holiday to Tavira, and is the itinerary we recommend to friends and family who are new to the region. The following section will detail each of these days and provide links to further information. Note: A rental car is not needed to explore the eastern Algarve as there is regular and inexpensive public transport that connects all of the major towns of the region. 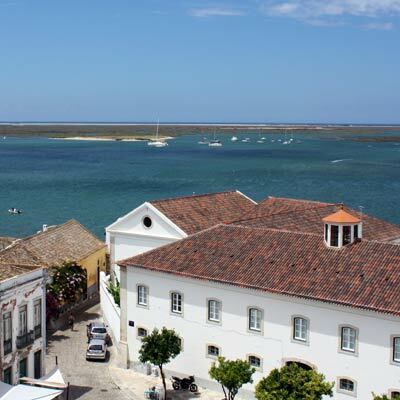 Tavira is a delightful maze of cobbled streets and small plazas that lead from the slow flowing Gilão River. A days sightseeing can be easily spent exploring the town, and discovering the rich and varied history of Tavira. The castle and remnants of the city walls date from the Moorish era (10-12th century) when Tavira was an important trading town. Later, in the 17th century, Tavira was the largest port of the Algarve, and the grand mansions which line the river were funded by this trade wealth. Along with all of the historic buildings, there are over 36 churches, scenic viewpoints and a lively daily market. Tavira may be relatively small, but it is full of character and is a pleasure to explore. 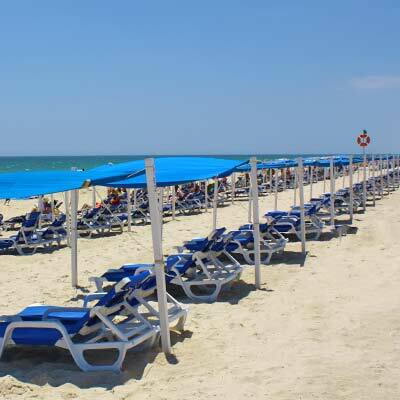 The suggestion for the second day is a relaxing day on the beach, and the finest beach close to Tavira is the Praia de Tavira. 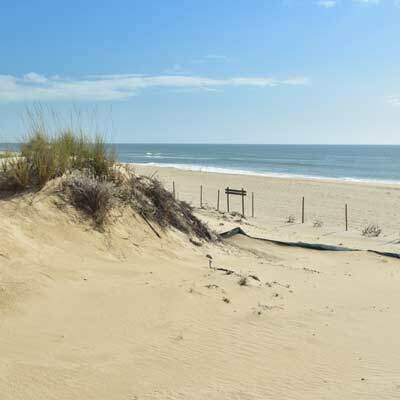 The beach is blessed with soft golden sands, calm sea waters and a beautiful natural setting of sand dunes. This beautiful beach is situated at the eastern end of the Ilha do Tavira, a sandbar island with a 10km unbroken sandy coastline. 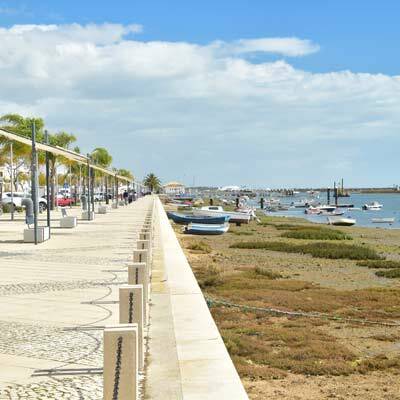 The Ilha do Tavira is separate from the mainland by the waterways and mudflats of the Parque Natural da Ria Formosa, and is connected to Tavira by a regular ferry service. 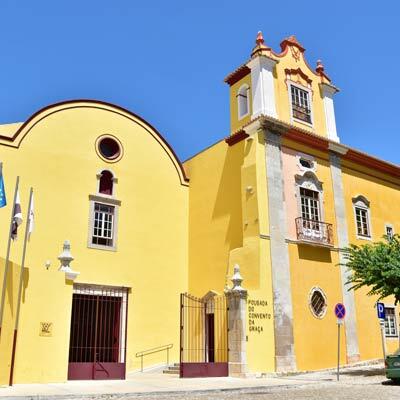 Vila Real de Santo Antonio sits on the banks of the mighty Guadiana River, at the very eastern side of the Algarve. This peaceful town has a grandeur that does not reflect its size or status; there is an impressive central plaza, ornate buildings line the harbour, and there are numerous examples of fine Baroque architecture. 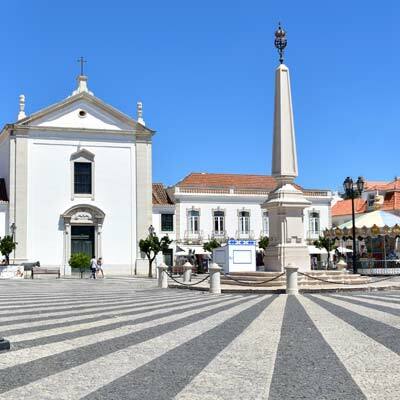 Amazingly, Vila Real de Santo Antonio was constructed in less than two years, during the great building era of Portugal, which followed the earthquake of 1755. 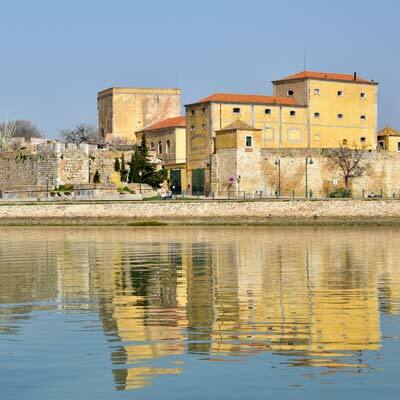 A day trip to Vila Real de Santo Antonio could include crossing the Guadiana River by ferry and exploring the Spanish town of Ayamonte. An alternative is to wander the shaded pine forests south of the town, which opens out on to the deserted beach of Praia de Santo António. Tavira is connected to Vila Real de Santo Antonio by the regional train and has a journey of 30 minutes. 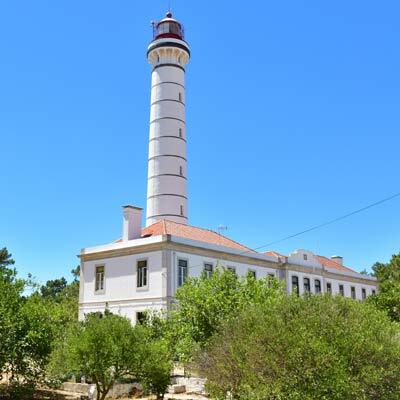 The massive lighthouse in Vila Real is strangely a long distance from the sea….. The Praia do Barril is a unique and beautiful beach found along the Ilha do Tavira sandy shoreline. Barril beach was the location of a small tuna fishing community that was abandoned in the 1960s, and is the setting for one of the most unique monuments of the Algarve, the Cemitério das Âncoras (Anchor Cemetery). 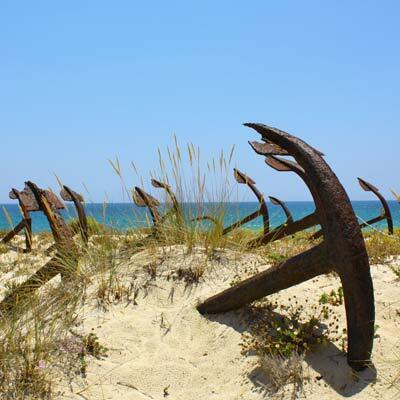 This memorial comprises of over one hundred rusting anchors aligned in the sand dunes that surround the beach. 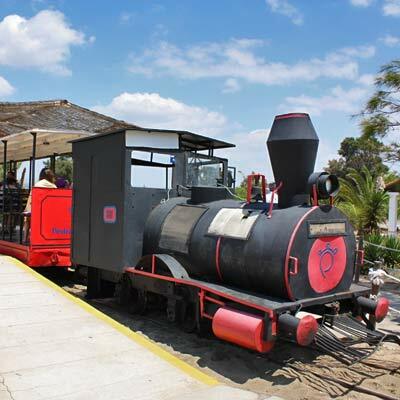 The Praia do Barril is connected to the mainland by a mini-train, which used to transport supllies to the fishing community, while the former fishing huts have been converted into beach restaurants and shops. The beach of Praia do Barril has many similarities to the Praia de Tavira, and is a great location for a relaxing day on the beach. Cabanas and Santa Luzia are two traditional fishing villages that lie along the calm waterways of the Parque Natural da Ria Formosa. Santa Luzia is to the west of Tavira, and the village’s fishing fleet specialises in fishing of octopus (Portuguese= polvo), while the restaurants that line the harbour have perfected the cooking of this tricky dish. Departing from the harbour of Santa Luzia is a ferry to the Praia da Terra Estreita, one of the quietest beaches of the region. Cabanas lies to the east of Tavira, and is one of the most peaceful holiday destinations of the Algarve. The town is favourite with retirees and long stay visitors, who are drawn by the unhurried ambience and numerous social cafes and restaurants. Similar to Santa Luzia, there is a ferry which crosses the waterways to a pristine beach, the Praia de Cabanas. Both Santa Luzia and Cabanas can be hiked or cycled to, if you wish a more active day. Faro is often sadly overlooked as a tourist destination, but the city has a surprising amount to see, and makes for a good destination as a day trip. 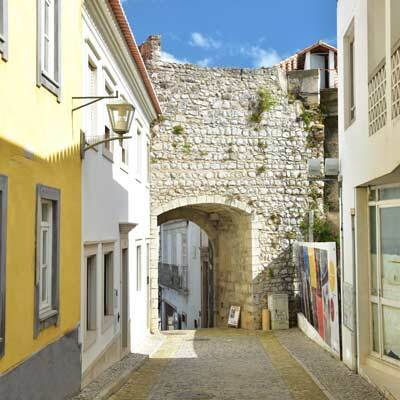 The historic centre is encircled by ancient city walls and inside cobbled streets lead up to the Gothic Se Cathedral. There is good shopping in Faro, and the pedestrianised streets have a calm and unhurried atmosphere and are filled with family-run businesses. One of the more bizarre sights of Faro is the Capela de Ossos, a chapel that is decorated with the bones and skulls of former monks. 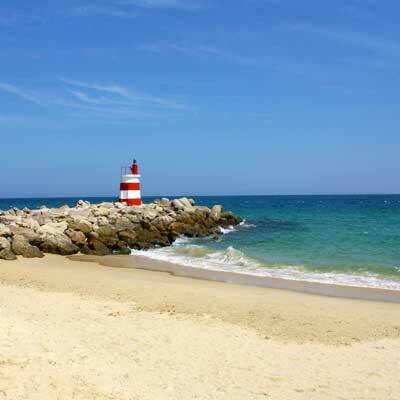 Faro is a popular location from which to explore the Parque Natural da Ria Formosa, and there are numerous daily boat tours of the saltwater lagoons of the fragile ecosystem. Also departing from Faro are ferries to the sandbar islands, and includes the fishing community on the Ilha da Culatra or the completely deserted island of Ilha Deserta. 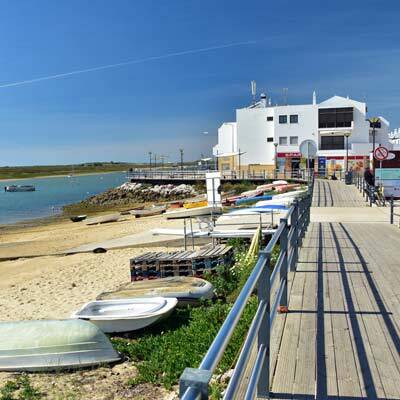 Olhão is a busy commercial fishing centre, with a rich seafaring and fishing heritage. Olhão presents a very different atmosphere to all the other towns visited during this holiday, as, while the whole of the eastern Algarve appears to be relaxing, Olhão is hard at work. Olhão has a scenic harbour front and a pretty historic centre lined with traditional fishermen’s houses. 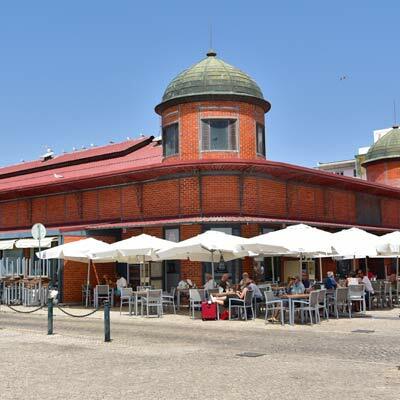 It is worth starting the day trip early to visit the lively fish market, which is housed in a Moorish inspired building. Olhão is connected to Tavira by the regional railway.